An exhibit at the Canadian Museum of History has members of the shíshálh Nation looking straight into the eyes of their ancestors. Using the 4,000-year-old remains of five shíshálh ancestors – a 50-year-old male, a 19-23-year-old female, two brothers aged 20-25, and one infant – researchers created a three-dimensional, animated and forensic-based facial reconstruction that is the first of its kind in North America. The two brothers in the display are thought to be twins, having been buried in the same grave and virtually identical with the same impacted wisdom teeth and suture lines on their skulls. The remains were first located ten years ago in a burial site near Sechelt, British Columbia by Clark and his team. Excavated at the request of the shíshálh community, the burial site also had over 350, 000 beads made from mudstone, silt stone or slate, indicating the remains were likely high-status and powerful individuals. Typical burial sites in British Columbia have only a couple hundred. “[This site] is certainly the most elaborate burials in Canada before contact,” Clark says. Analysis of the bones have shown that the diet of the five individuals were mainly marine-based, but that most of the animal remains found at the burial side are deer. To Clark, this indicates that it’s likely the group did not live there but came to the site to feast and then be buried. The exhibit will display all the individuals but the infant, due to the remains being too fragmentary to use for reconstruction. 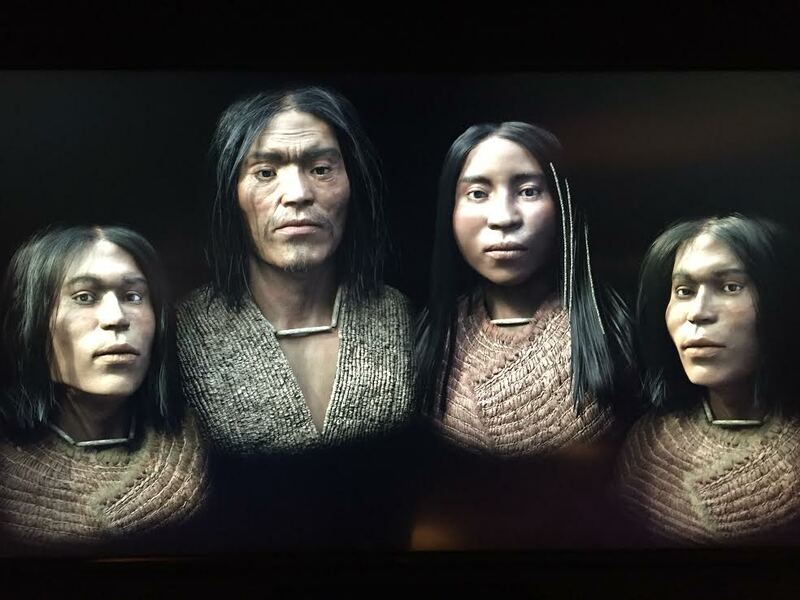 To create accurate reconstructions, the Museum of History has been collaborating with the shíshálh Nation and the University of Toronto over the past three years on details such as their facial features, hair, jewellery, clothing and facial expressions. The result? Blinking, life-like digital images from the past. One of the faces was very familiar to Raquel Joe, a cultural interpreter from the Tems Swiya Museum in Sechelt and member of the shíshálh Nation, who has been helping to share this story. 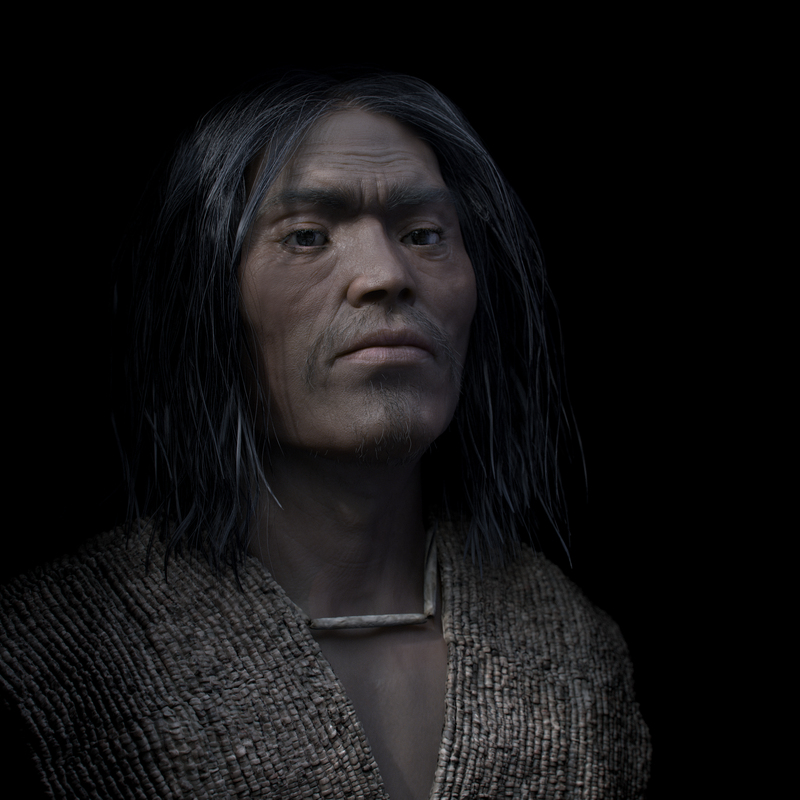 3D forensic facial reconstruction of a shíshálh Chief who lived nearly 4, 000 years ago. He was buried with over 350, 000 stone beads, which he may have worn as a cape. The resulting images have left her amazed and proud. The remains of the shíshálh family are currently being stored in special cedar boxes in the Museum but will be reburied next summer at the site at which they were found. The exhibit will be open to the public on July 1, 2017, when the Canadian History Museum opens its new gallery, the Canadian History Hall.